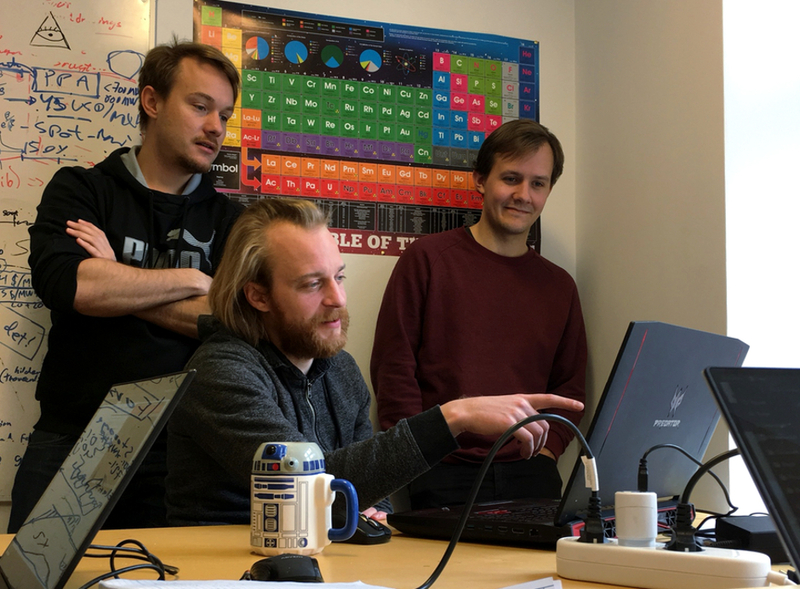 A Danish company is aiming to build smaller, safe nuclear reactors based on thorium and molten salt, after securing funding in its first pre-seed investment round. Copenhagen-based Seaborg Technologies, which is developing thorium-based Molten Salt Reactors (MSRs), has received funding from an investment coalition led by Danish innovation incubator PreSeed Ventures. By using thorium as a catalyst, the reactor is able to burn nuclear waste from conventional reactors, meaning it could help to reduce the problem of radioactive waste storage. “We take waste from existing nuclear power plants and we burn the transuranic elements of it, the longest-lasting part of the waste,” said Schönfeldt. What’s more, while conventional nuclear reactors must operate at very high pressures, MSR reactors operate at just one bar atmospheric pressure, making them simpler to construct. The new investment will allow Seaborg’s team to increase its staff to 16 employees, making it the largest reactor development start-up in Europe. “We don’t want [the technology] to be useable for nuclear weapons, so we are putting a lot of science and effort into making that impossible,” said Schönfeldt. The company will begin carrying out initial, small-scale experiments within the next few months. Seaborg has previously received funding from the EU and the Danish Innovation Fund, and will be looking to raise an additional €2m from investors as soon as possible. As well as accelerating its own technology development, the company hopes the investment will also help speed up the road to market for all MSR developers. In particular, existing regulatory systems act as a barrier for thorium-based MSRs, said Schönfeldt. Simulation of an MSR must include modelling the interdependence between neutron transport, fluid dynamics, heat transfer, and the associated chemical reprocessing, he said. Existing tools are either not compatible with the current regulatory requirements, or not able to include these effects, he said. The investment will allow the company to develop advanced simulation software that can be used by all developers and regulators within the licensing process, said Schönfeldt. Great! Danes! You go gentlemen! God speed! At last, let’s hope this moves forward fast and in not just a desk top modelling activity. MSR is the future for mass energy delivery. This is all old hat stuff. Nixon, got onto the USA presidents position by ditching Thorium technology and going Uranium to get the local vote. There were and still are to many companies profiting from going Uranium. De-commissioning is like having an open cheque from the government of any country. Wow !! How amazing I’m thinking help is on the way for little islands , Puerto Rico and the chain of Caribbean Islands for electrical power and desalination plants just for a start..
You are 100% correct. It would be huge for such locations in the world. One could provide large, continuous quantities of fresh water like never before, as well as reliable, safe, clean energy. and it’s worthy science and engineering at the same time. What a lovely concept. That any issue would result in a ‘fail safe’ situation. The initial development of nuclear facilities by all Nations who did so, and of all types was surely solely for military purposes. The swords to ploughshares policy came later. And now we are seeing refinements of process and facilities to optimize. The classical route to the future. Can mankind really manage to actually put back into the bottle the Genie of nuclear weapons? or at the least beat such back into merely civilian use? Were it left to Engineers, yes I believe we would and should and would recognise that we could. but sadly it isn’t. The clerks still have control in far too many areas which they do not really understand. And they are still intent on using such. Perhaps the power and control that those of us who understand and use the newest and universal language -that of digital communication- now hold is the key. This technology should never have been dropped in the first place all those years ago. In principle its cost effective, efficient and better for the environment. Yes there are technical hurdles but they can be overcome. I welcome this technology with open arms but here in the UK, well our road to a better nuclear future is a bit of a farce. UK Government please take note – this is the environmentally friendly technology we need. Steve, agree with your comment. Makes sense to have smaller dispersed units supporting the larger ‘base load’ nuclear sites. Sowing the seeds of a technology path for MSR going SMR means lower manufacturing costs for security of cheap base-load Energy that will be much needed for the dawn of a new age of much needed clean power for EVs (removing the dilemma of using fossil fuel to produce electricity for EVs). Well done to the Danes for their insight in supporting this long overdue technology. It would be a huge advantage for the UK to get onboard with this Nuclear 2.0 technology that would assign the old (and dangerous high pressure) ‘steam driven’ Nuclear 1.0 technology to the dustbin as the true potential for walk-away safer reactors with more efficient burn up of fuel is realised. This is especially the case where Thorium is the fuel of choice since not only is much more of the fuel burnt within this homogeneous fluid … what little remains decays to background levels within 300 years (unlike the many millenia for the current Uranium fuel cycle). Getting into the modular manufacture of civil minded safe Nuclear 2.0 power generators is an opportunity to supply the demands for ever increasing electrical power … on a global scale. Here again Thorium has the advantage of reducing proliferation worries – not producing Plutonium in its decay sequence. This eases siting generators in the more arid regions of the world where the advantages of high temperature operation of molten salt allows de-salination plants to spring up and reduce the socioeconomic stresses of marginalised peoples … all while having direct benefits of reducing the effects of climate change. I would say the benefits of this new MSR technology may at last have its green shoots bear fruit. The only thing that gives me pause about advanced fission technology development is that even though we can be confident that it can eventually be made to work and deliver all the benefits it promises, there is an increasing momentum behind fusion startups. Suppose the major players invest billions over 1 – 2 decades to develop LFTR or another exciting fission option, and then one of the laboratories pursuing fusion achieves break-even success. That investment of time and money into advanced fission technology would be immediately abandoned. Furthermore, the prospect of replacing base load power over decades after initial implementation of LFTR or something like it will cost billions more and once again would be abandoned as soon as fusion efforts are successful. So, perhaps the lack of funding is really due to government’s long view of energy technology – maybe they are just waiting for fusion so that the big upgrade/changeover/disruption can happen once instead of twice and for less money. Better two solutions than none, Pretty! Installing any entirely new generation technology is going to take a long time, but you probably aren’t too far out. The LFTR concept is a good example of what may have developed from the ground-breaking work at ORNL in the 60’s … if the MSR technology had been allowed to continue … but as usual politics (Nixon & his cronies) got in the way of realising the potential of this technology. We’ve lost decades in what had the potential to stem climate change from a much earlier transition point … all because of these bad policy decisions from the government of the time. 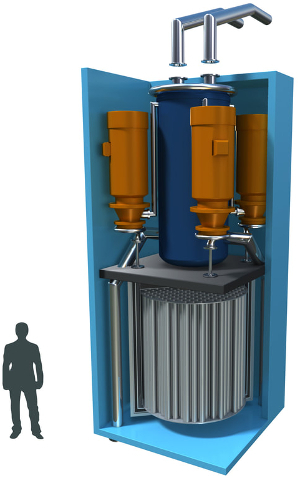 Having already made the practicalities of MSR a reality, it should be a relatively short time scale to build prototypes from designs based on the ORNL results & data – refining the design through quick iterative steps – which a small modular Reactor would be the appropriate form factor to enable development in the most efficient way … and not cost billions. What Government could and should be getting involved with is facilitating a new set of Regs based on Liquid fueled Nuclear 2.0 reactors … and removing the regulatory bottleneck from inappropriate tie in to old ‘steam driven’ Nuclear 1.0 Regs … if the Nuclear Energy industry is to innovate and flourish. Without the freedoms of appropriate Regs it will compromise designs and take many more years to navigate the existing Regs to allow interim designs to progress from the drawing board. Fantastic! Can’t wait until Canada follows suit. It is a pity that the British government did not get involved in the 50s when this was happening at Oakridge Tennessee. We would be in the front now as we were at the time, not behind with third generation when Thorium MSR is IV generation. There is no two ways that Seaborg was one of the greatest scientist the world has ever seen as he with his team discovered around 10% of all known Elements, many times of all other scientists in history and where a single discovery of an Element has had a Nobel Prize attached to it along the way. But there was a great deal more to Seaborg that people perceive and where his person thoughts were of a world where ‘Peace’ and not war was paramount.